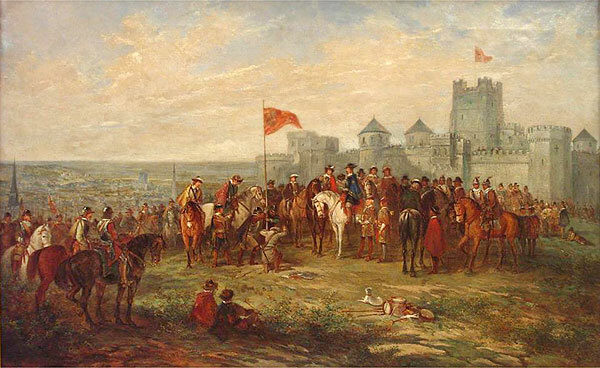 The picture shows one of the key events of the English Civil War. You can still find 'Standard Hill' by the castle in Nottingham. 20.25 × 32 inches. Sold at April 2005 auction.